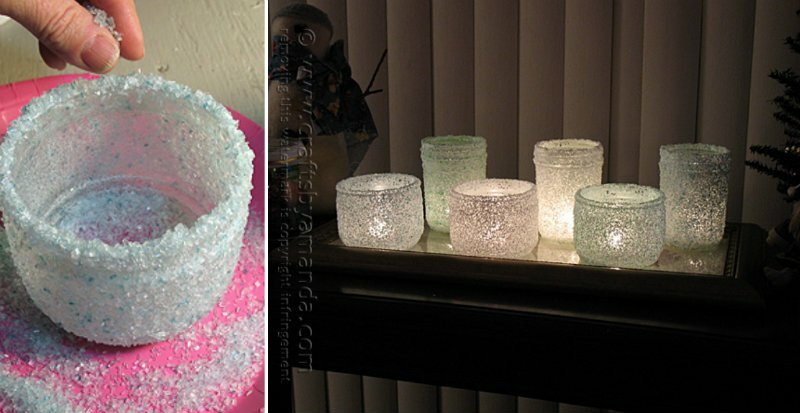 Decorate your home for holiday can be easy and warm as this craft. A DIY Glass Christmas tree jar display is a great way from which you can bring that holiday Christmas atmosphere to your home. Glass Jar, including mason jars, has been a popular craft material for now, the transparent glass container is so versatile for DIYers to create with imagination. 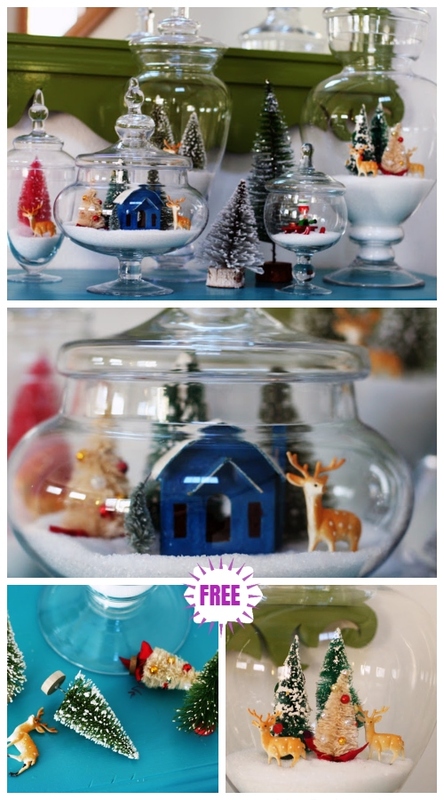 Rebekah shares with us an easy kids-friendly DIY tutorial on making a mini winter wonderland centerpiece decoration, but I must admit that these jars are good as all seasons decor elements. Their cost of creating is very low, you can use some old jars, salt, glue and gloss sealer. Sounds like a piece of cake? And it is. and finally you’ll get extremely delicate and universal decoration. Besides Epsom salt, frosty snow is another perfect snow for this project.